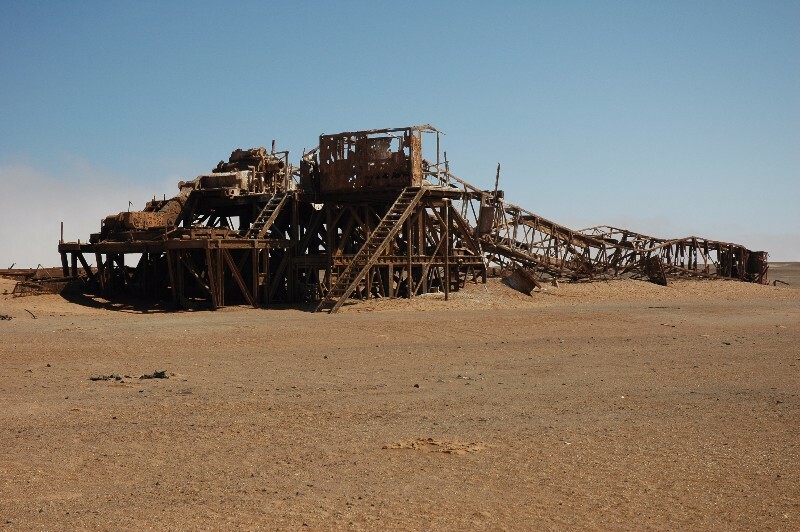 Death would be preferable to banishment to such a country, declared the early Swedish explorer Charles John Andersson when he encountered tales of the Skeleton Coast. 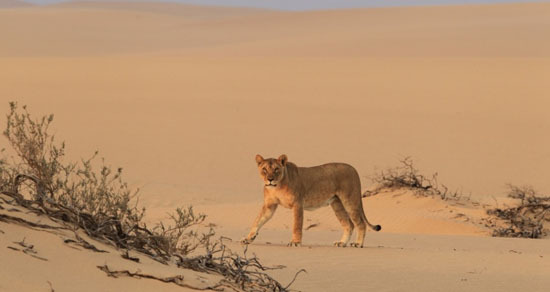 But this area, the Skeleton Coast Park, is now acknowledged as one of Namibia’s greatest treasures, in that it is one of the world’s last great wildernesses. Initially proclaimed in 1971, in its present form in 1973, it extends from the Ugab River in the south for 500 km to the Kunene River in the north and about 40 km inland. 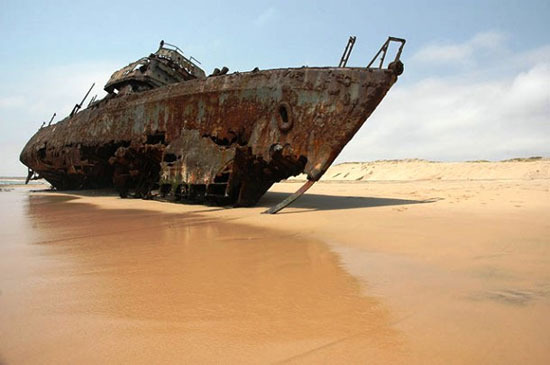 Dense coastal fogs and cold sea breezes caused by the cold Benguela Current add atmosphere to the windswept beaches that are littered with shipwrecks, bones and other debris. The Atlantic Ocean, with sandy and pebble beaches, sand dunes, ephemeral riverbeds and canyons to rugged canyons with walls of richly coloured volcanic rock and extensive mountain ranges. Vegetation Namib Desert Biome. Vegetation type: Northern Desert, Central Desert, North-Western Escarpment and Inselbergs. Lichens, dollar bush (Zygophyllum stapfii), narra plant (Acanthosicyos horridus), vygies (Mesembryanthemum sp) on plains. In dry riverbeds makalani palm (Hyphaene petersiana), wild tamarisk (Tamarix usneoides) and mopane trees (Colophospermum mopane).Wildlife Desert-dwelling elephant, lion and black rhino.Cheetah, crocodile, springbok, Hartmann’s zebra, gemsbok, Heaviside’s dolphin, green turtle. The 306 bird species recorded here include Greater Flamingo, Lesser Flamingo, Lappet-faced Vulture, Rüppell’s Korhaan and Gray’s Lark. Tourism Photography. Game viewing. Angling. 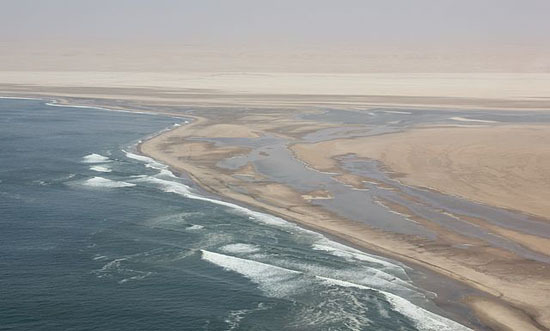 A fishing licence must be obtained before entering the Skeleton Coast Park. Double rooms and one beach chalet, restaurant, bar and freezing facilities at Terrace Bay. Entrance only with a booking. Camping at Terrace Bay is permitted only during December and January. Booking essential. An exclusive fly-in tourism concession for the northern section of the park is currently under review.